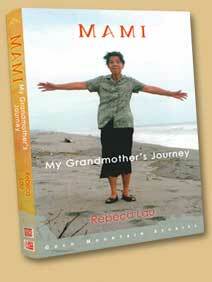 Mami: My Grandmother’s Journey is the unconventional story of a Chinese woman in the southern border city of Tapachula in Mexico in the 20th century. Her arranged marriage, her escape from the Japanese Army, her life in a country so distant and so different from her own, her struggles and successes, her internal conflicts. It is a story that interweaves the past and present of three generations living under one roof filled with cultural clashes between Chinese and Mexican traditions. © 2010 Rebeca Lau. All Rights Reserved. | .